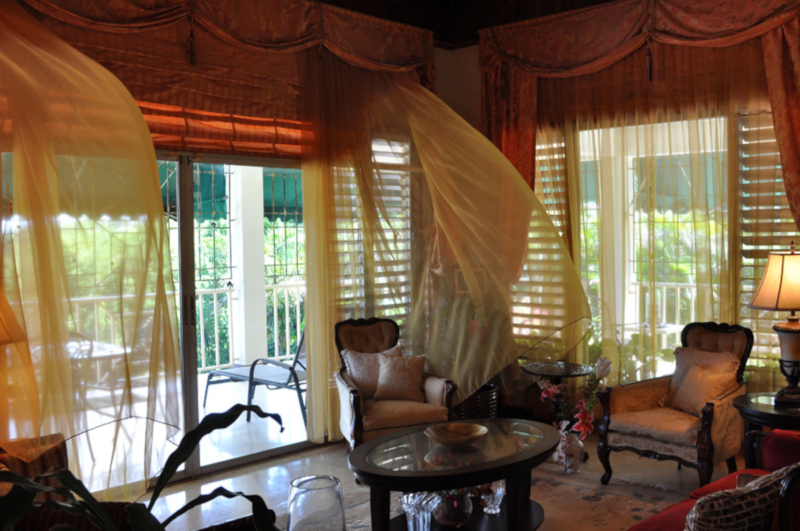 LE FRANCE | Unity Hall, St. James his costume designed window treatment is function wrapped in beauty. 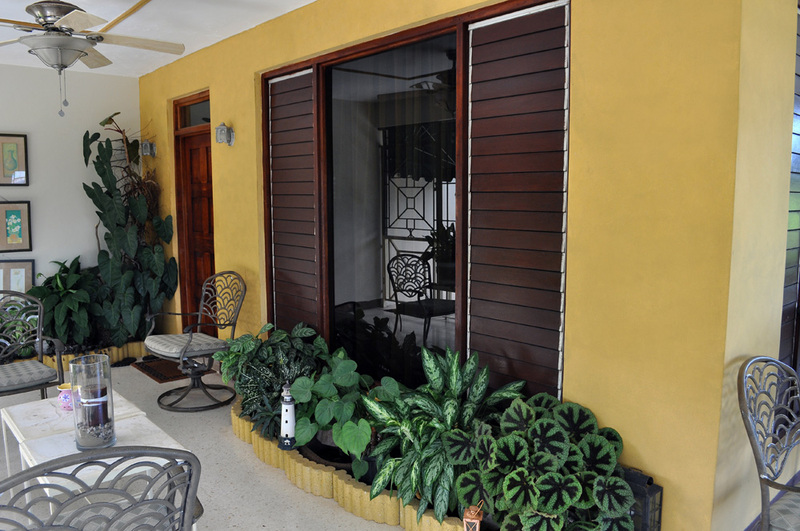 From unobstructed views of the ocean; to the light softening, diffusing shears; to the light blocking, privacy on demand roman shades; to the window framing, height accentuating, proportion correcting valance and side panels – function and beauty hand in hand. LE FRANCE | Unity Hall, St. James View from the Dining room. Here the challenge was all about proportion and scale. Scale and proportions can never be overlooked in any project. 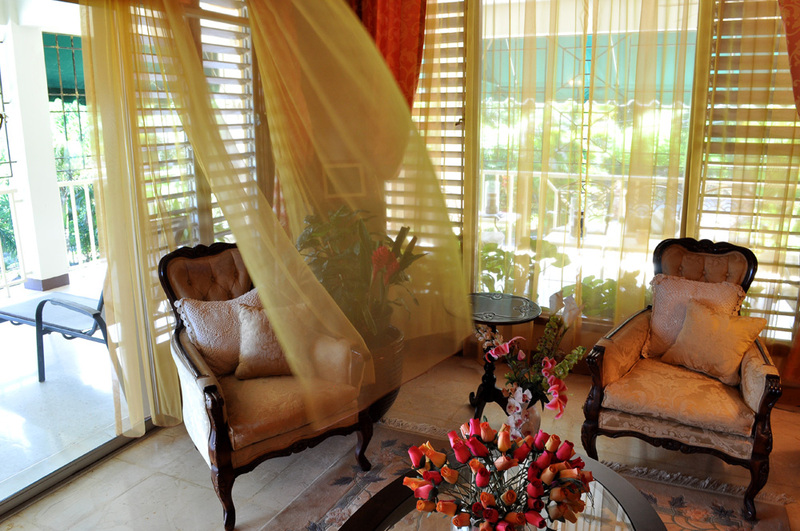 LE FRANCE | Unity Hall, St. James Exquisite furniture appointed for function, dressed to last and to show off. 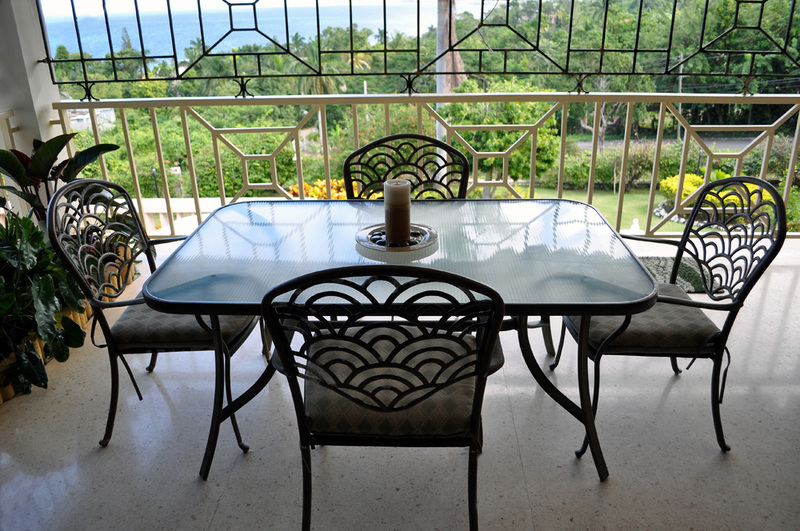 LE FRANCE | Unity Hall, St. James Located at a vantage point on the verandah this table sits saddle under a pendant fixture for bright illumination for games or dim lighting for a more intimate dinner or occasion. It also bridges the sitting and dining area. 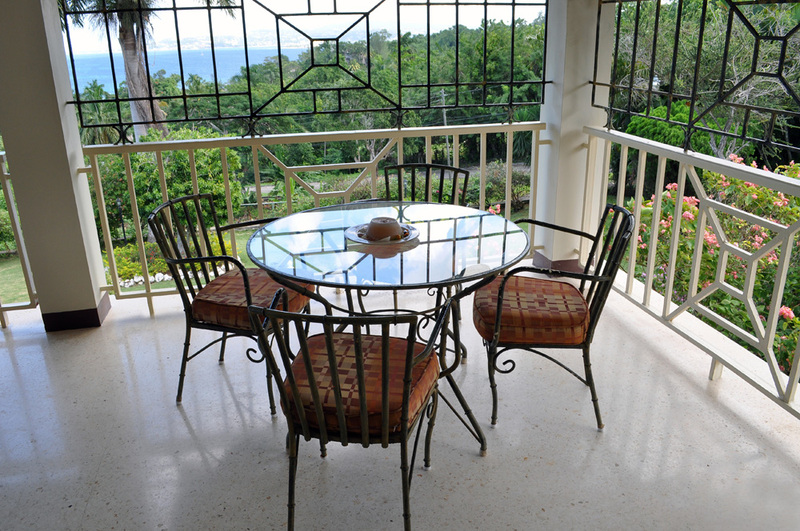 LE FRANCE | Unity Hall, St. James This outdoor dining area with its commanding view has hosted many breakfast, brunch and dinner events. 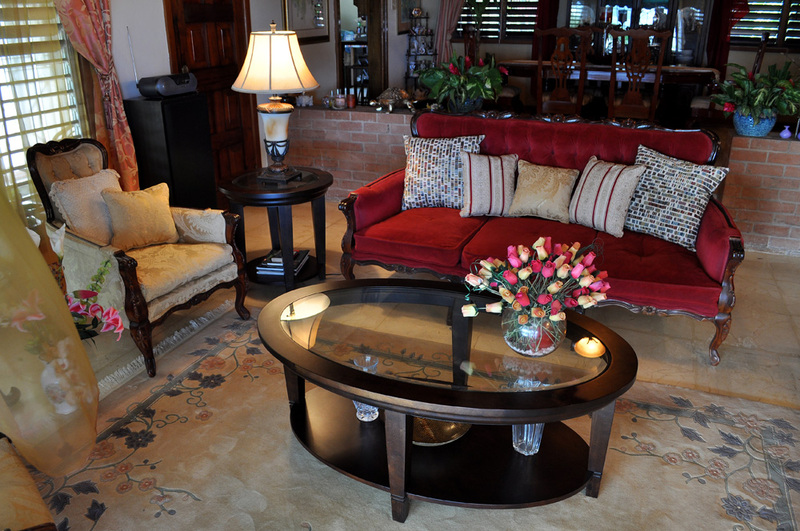 As its designer, I have also been its guest and can testify to its allure and comfort. 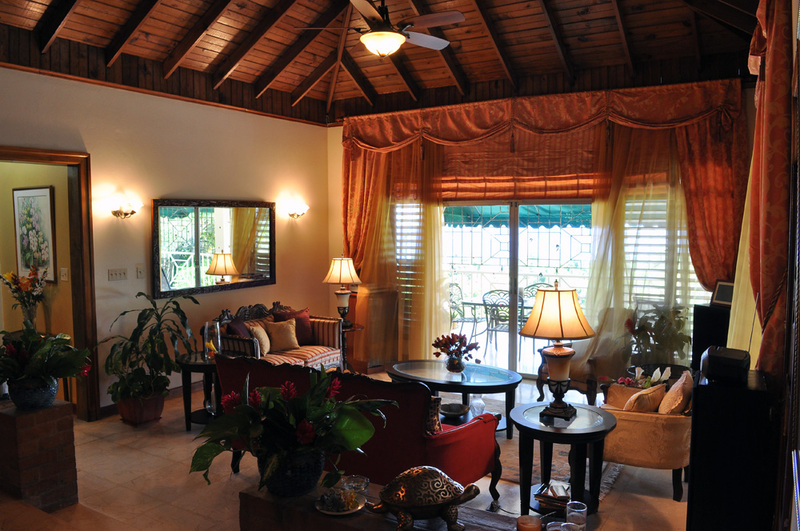 LE FRANCE | Unity Hall, St. James This home features an L Shaped Verandah with a sweeping ocean view and city skyline. Crafted for entertainment and relaxation, it’s divided into vinettes to accommodate different activities and varying group sizes. Here is an area styled for outdoor conversation, drinks and snacks. LE FRANCE | Unity Hall, St. James Le France’s sloping lawns, gardens and pool are a storey below. 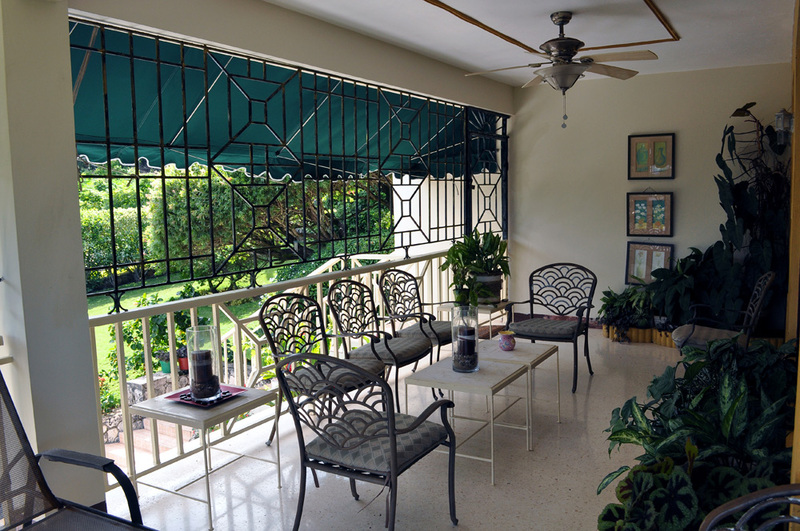 These green vistas with its trickling water and whispering leaves enhance relaxation while linking the verandah to the gardens below and the ocean in the distance.